Cassper Nyovestjoined the#10yearchallenge, shared a throwback photo as he disclosed that 10years ago he was begging to perform. 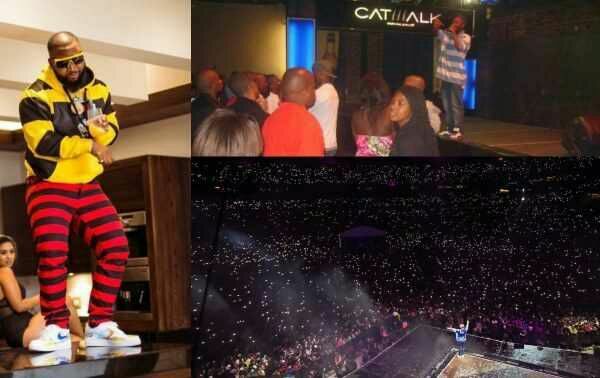 Cassper Nyovest who disclosed that10 years ago he was begging Jr to perform at his album launch, said he sold 68,000 tickets at Soccer City Stadium 10 years later. He wrote on Twitter; ’10 years ago I was begging Jr to perform at his album launch. Couldn’t get into the club B4 he got there cause the bouncers&the door lady didn’t know or care who I was. 10 years later I sold 68 000 tickets at Soccer City Stadium. #2008vs2018#10yearchallenge#2008vs2018challenge”Nyovest grew up in Montshiwa in Mafikeng, the capital city of the North West province in South Africa. He attended high school atSol Plaatje Secondary School. In school, he was athletic as he partook in various sports activities including football, cricket and basketball. He started rapping when he was in grade 6, at the age of 12.